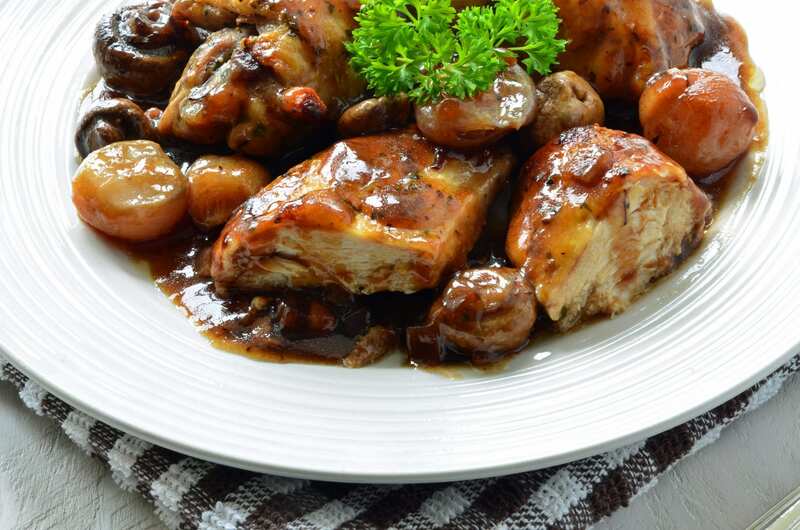 This delicious French chicken stew is one of our favourite slow cooker dishes. This recipe serves 4 at just 0.5 bites per serving. Combine your chicken and chopped veg in the slow cooker. In a measuring judge add thyme to chicken stock, followed by corn flour and red wine. Mix well until cornflour is fully dissolved. Add mixture to the slow cooker. Cook your baby potatoes separately and add them to the slow cooker for the last 30 minutes. Thanks to our leader Darren Loughnane for this yummy dish.